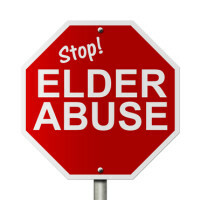 A recent ruling out of the Family Part of the Ocean County Superior Court found that a woman who suffered elder abuse may avail herself of the provisions of the New Jersey Domestic Violence Act in order to protect her safety. The decision, released to the public on November 16th, was written by Judge Lawrence Jones regarding a case titled J.C. v. B.S. In this matter, an ailing 73-year-old woman had filed for a restraining order against her adult son who, according to the judge, “for whatever personal reason is staying indefinitely with the parent instead of establishing an individual residence.” The mother had experienced a series of serious health issues which had left her feeble and barely able to walk, including two mini-strokes, two back surgeries, and a hip replacement. Nevertheless, according to his mother, the son would routinely become intoxicated and hurl obscene and vulgar remarks at his mother, sometimes poking her and once nearly knocking her over. The mother eventually called the police and filed for a restraining order, which was granted. The judge explained that he did not find credible the son’s testimony at the hearing that his “mean” and “aggressive” mother would chase him around the home, given that the son was unable to explain how a woman who could barely walk could run aggressively after someone. Judge Jones issued the requested final restraining order, forcing the son out of the home. The judge noted that, while no prior published case interpreting the Domestic Violence Act specifically applied its provisions to elder abuse, there was a high societal interest in the elderly being permitted to use protections of that law to shield themselves from physical or verbal abuse. If you’ve been abused or harassed by someone in your home, contact the knowledgeable and compassionate Union family law attorney John B. D’Alessandro for a consultation on your claims, at 908-964-0102.